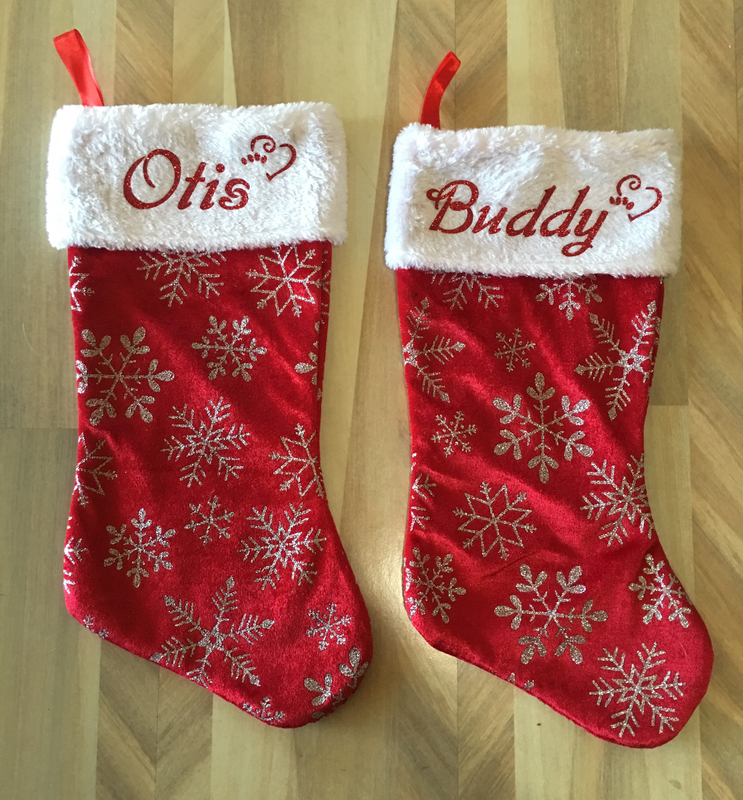 Put HTV vinyl on these 2 stocking from Dollar Tree for our boys. Hopefully Santa can find some stuffed toys to put in them. I used my Easy Press to apply the vinyl. This press is so easy to use.